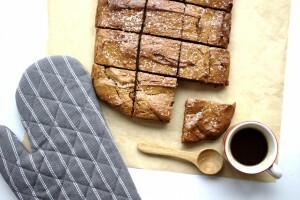 Almost chocolate brownies - Gluten, grain and refined sugar-free! 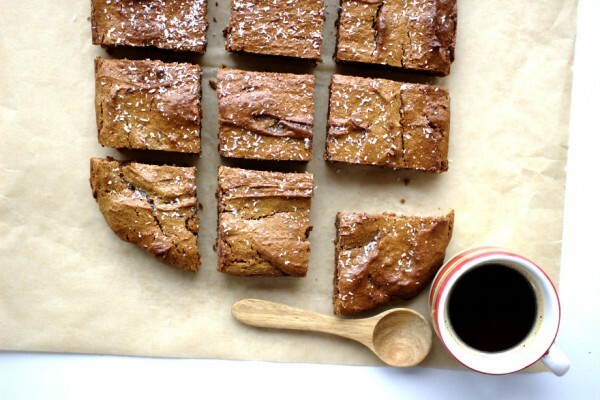 It might seem strange to call these “almost chocolate brownies”. If you are following the SCD diet, by now you’ll know that chocolate is not allowable. Even healthy ingredients such as cocoa powder or carob are illegal. I was never the biggest chocolate fan in the world. That said, I have to admit when I learned I couldn’t eat chocolate, I cried a little. The inspiration for this recipe came from Marilyn’s chocolate cake but I have changed it quite a bit as I wanted a lighter brownie texture. If you’ve been following my blog for a while now, you’ll know that I have used cacao butter in lots of my snack recipes. I’ve said it before but I’ll say it again. The day I found out that cacao butter was allowable on SCD was a good day. Cacao butter is legal because it is simply the fat extracted from the cacao. On its own, it is bitter but when melted and sweetened tastes delicious and similar to white chocolate. 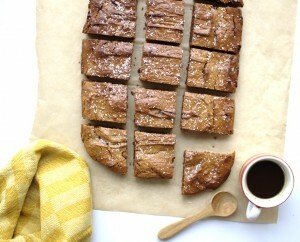 I was experimenting with these brownies for quite some time. Some attempts were too dry, others too moist. When I finally got this recipe right and I could not wait to share this with you. These will become your new favourite snack, I promise. Medjool dates make these brownies decadent, delicious and taste like “REAL” chocolate brownies. So I guess I would get away with calling these chocolate brownies rather than “almost chocolate brownies”. My daughter definitely thinks these are the real deal. She’s quite honest when she doesn’t like something too so I take her praise as a really good sign! * You can make this recipe dairy-free and Paleo by substituting the butter for coconut oil. I miss chocolate dearly – I can’t wait to try this recipe! I’m wondering 1) if another nut butter would work (I have cashew), and 2) if the brownies freeze well (lest I eat them all in a day). Thanks for sharing! Hi Jen, these are soooo good. I promise they won’t disappoint especially if you are having a chocolate craving. They are the next best thing! You can definitely substitute another nut butter – cashew would work great! I haven’t tried freezing them yet but I imagine they would freeze fine. If you make them, let me know what you think! I use a large rectangular ceramic dish 38 x 26 cm. I line it with parchment paper before pouring in the batter, then bake! Thank you Maria. I am making these RIGHT now. Can’t wait to try them. Mine came out just a little dry but I think I left them in too long. I am definitely going to make them again & cut the bake time by 5 minutes. Even though they turned out a bit more like cake, they are still DELICIOUS and this is a recipe I will keep. Hi Doreen, Sorry to hear they were a little dry. I’m going to change the cook time as even a minute over seems to affect them. Many thanks for the feedback! Fabulous, made these for a birthday and several times since, always by special request. Thank you! I made these and they were amazing and now doing again fro my little guy that has Crohn’s and it is weirdly mixing in the blender with liquid all at the bottom. It has done this 3 times now! Any help?? Don’t remember how I was successful before! I am really not sure why this is happening to you. Are you draining the dates before you blend them? Are you using a different almond butter to before? Different brand of dates or anything else? Sorry I can’t be of more help. I literally do exactly what the recipe says and it works out. I don’t know it’s so frustrating..it worked fine before?? I am draining the dates..using the same almond butter as always so really strange. I hate to be throwing out mixture and ingredients ever time. Are you letting the bitter and cacao butter cool before it going in? Maybe I am not letting it cool enough? I don’t let the butter and the cacao butter cool, just add them when they are hot. I mix all the ingredients really well then. I have a really powerful blender. Could it be the blender you’re using? 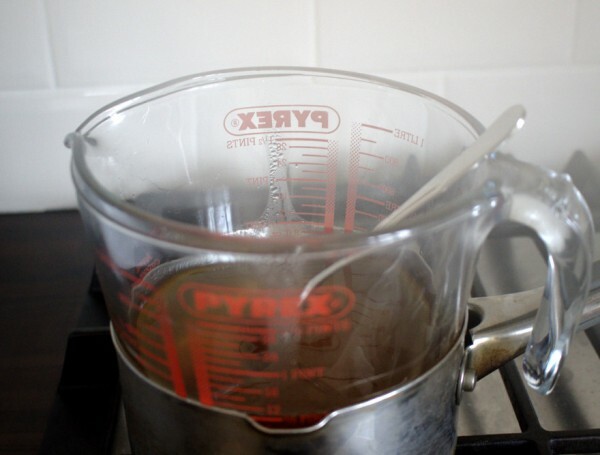 Have you tried baking the mixture anyway to see how it turns out? Cacao butter and dates are expensive, I would never want you to have to throw them out :(. The only thing I can think now is that your blender isn’t mixing it well enough? this recipe is amazing! my bestie has sibo and he’s gonna lose his mind over this. fyi – i only had 5 dates in the house so i halved everything and it came out perfect – i used a loaf pan with parchment paper. timed it for 25 minutes but it didn’t seem that cooked, so i left it in the oven whilst it cooled and it’s absolutely perfect. thank you SOOO much! easter is gonna be so much better now! Thanks for the lovely comment Vique. So glad you liked these. One of my favourites!